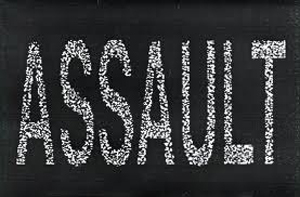 Dharmasthala, July 12, 2016: According to reports, 48-year-old Ayurvedic practitioner was reportedly assaulted by a taluk panchayat member as the former questioned the latter’s driving skills in public in Kokkada village near Dharmasthala on July 11, Monday. Ganesh Bhat, on July 11, Monday morning he had been to a temple to which taluk panchayat member Lakshminarayana T.M. too had come. Dr. Bhat, who is in a private hospital in Nelyadi, his car was parked close to the vehicle of Lakshminarayana. As Lakshminarayana was moving his vehicle out in the reverse direction, it came close to vehicle of Dr. Bhat, who managed to avert a collision by moving his vehicle aside. While going away from the temple, Dr. Bhat said, he asked Mr. Lakshminarayana to be cautious while driving in the reverse direction. Angered over this, Lakshminarayana allegedly barged into the former’s clinic and assaulted him at around 4 p.m. As he had not recovered from the shock following the incident, Dr. Bhat said that he did not file the complaint immediately. Dr. Bhat said that he has now got admitted to hospital after his nose started bleeding and he had severe body ache following the assault. A complaint has been filed with the Dharmasthala police, he added. Dharmasthala police said that they have been informed of Dr. Bhat getting admitted to hospital because of an assault. They will record his statement as required.